So you’ve seen a great offer on a destination you’d like to travel to and think – YES! Then you proceed to check out and see that you need to pay a hefty amount to check your bags in and then you think – NO! Well, worry not. 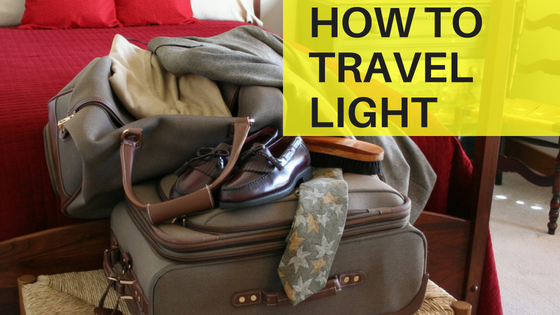 Our trusty advisors at Gala Travels have pulled together a list on how you can travel light! • Pack early – Avoid stress packing at the last minute! • With every item, ask yourself “why am I taking this”? • Wash your clothes (quick-dry preferably) at your destination. That way you only need one week’s clothing regardless of how long you’re staying. Dry laundry bar? • Avoid bottled liquids (too heavy). Go with solid alternatives. Well there you have it! A quick, and handy guide on how to pack light.